Since we launched in Australia in 2004, the Jetstar Group has carried more than 200 million passengers. With one of the Asia Pacific region’s largest low-fares networks and a fleet of more than 120 aircraft, we operate more than 4,000 flights a week to more than 75 destinations in 17 countries and territories. When you fly with Jetstar, our flexible fares mean that you only pay for what you need. Choose to fly Business or Economy, add extra baggage, select your seat and pre-order your meal – all you need for a comfortable flight. And our friendly team will go that little bit further to make you smile. 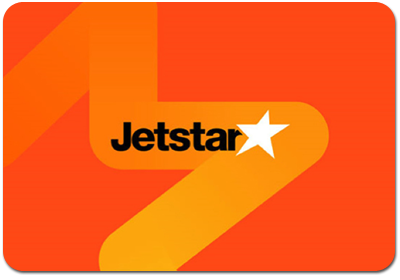 Please note: Jetstar gift cards can only used on the Jetstar Australia website.